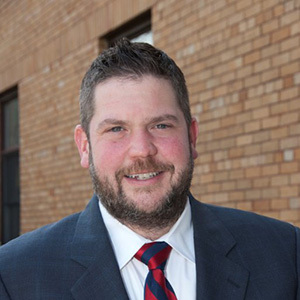 Craig Cheverko - Scarsdale Premier Insurance Agency | Advocate Brokerage Corp.
Craig Cheverko, Business Development Manager for Advocate Brokerage, is enjoying his second stint with the firm. Craig rejoined Team Advocate as a Marketing Manager in 2011 before being promoted to his current position. Following his education at the Culinary Institute of America and profession in the hospitality industry, Craig made a career change. Over a decade ago, he came to Advocate as a trainee and learned all about insurance before seeking a job in New York City. Craig is experienced in both the sales and service sides of the industry and well versed in both personal and commercial insurance. He works with clients to create tailored insurance plans – one of the strengths of Advocate. He believes that the Binday family’s detailed approach is a big reason for its success. “We live and work in this community so it is important that we provide exemplary service to our clients,” he notes. A lifelong learner, Craig is pursuing his degree in Business Administration at Fordham University. Additionally, he is working toward various professional designations in the insurance industry and rarely passes on an opportunity to further his knowledge and understanding of a perpetually changing insurance market.